Psychoanalysts have long been fascinated with creative artists, but have paid far less attention to the men and women who motivate, stimulate, and captivate them. The Muse counters this trend with nine original contributions from distinguished psychoanalysts, art historians, and literary scholars―one for each of the nine muses of classical mythology―that explore the muses of disparate artists, from Nicholas Poussin to Alison Bechdel. The Muse breaks new ground, pushing the traditional conceptualization of muses by considering the roles of spouse, friend, rival, patron, therapist―even a late psychoanalytic theorist―in facilitating creativity. Moreover, they do so not only by providing inspiration, but also by offering the artist needed material and emotional support; tolerating competitive aggression; promoting reflection and insight; and eliciting awe, anxiety and gratitude. 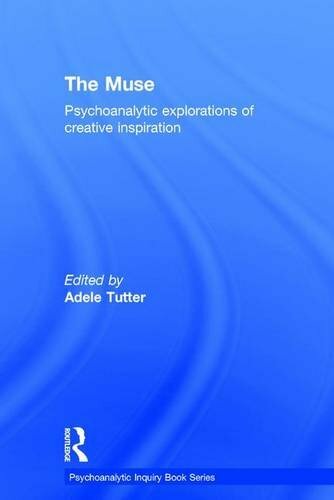 Integrating art history and literary criticism with a wide spectrum of contemporary psychoanalytic perspectives, The Muse is essential reading for psychoanalysts and psychotherapists interested in the relationships that enhance and support creative work. Fully interdisciplinary, it is also accessible to readers in the fields of art, art history, literature, memoir, and film. The Muse sheds new light on that most mysterious dyad, the artist and muse―and thus on the creative process itself. "Recent art history writing and literary criticism has made strikingly little use of psychoanalytic thought. The impressively original, continuously absorbing nine essays collected in this volume will change that situation. Building upon the scholarly traditions of their disciplines, yet accessible to the general public, this collection demonstrates the considerable contribution that erudite contemporary psychoanalysts and psychoanalytically informed academics can offer to the understanding of the relationships that nourish creativity―and thereby to the understanding of creativity itself. "-David Carrier, author of Principles of Art History Writing; A World Art History and Its Objects; Poussin's Paintings: A Study in Art-Historical Methodology. "What is a muse? Adele Tutter’s captivating volume expands the concept of the artist-muse relationship through psychoanalytic exploration. Interpretive essays by psychoanalysts, art historians, and literary scholars on the biographies of well-known artists and writers, from Nicolas Poussin to Alison Bechdel, demonstrate the way in which the phenomena of identity and creativity spring from the same waters. Nine authors bring their own deep artistic, cultural, historical, and social erudition to the penetrating psychoanalytic exploration of creative lives. These highly original and provocative essays about artists, collectors, models, and muses stimulate the imagination. This is a truly compelling work. "-Mary Bergstein, Professor of History of Art and Visual Culture, Rhode Island School of Design.